Alexander Acosta was once accused of undermining the Justice Department’s Civil Rights Division. Now he could become secretary of labor. It also shined a light on Alexander Acosta, President Trump’s latest nominee to serve as secretary of labor, and the first Latino to be tapped by the president as a cabinet pick. Acosta is an experienced government hand, who has a long history of working the conservative Republican side of the aisle. After finishing Harvard Law School, he clerked for future Supreme Court justice Samuel Alito, who was then serving as a judge on the United States Court of Appeals for the Third Circuit, and as a senior fellow with the right-leaning Ethics and Public Policy Center. 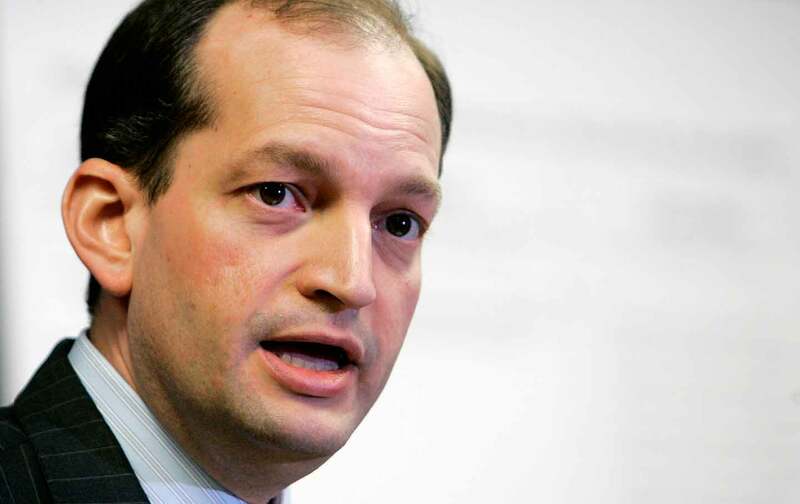 Acosta served briefly as a Bush appointee to the National Labor Relations Board, and then was appointed by Bush as the assistant attorney general with responsibility for leading the US Department of Justice’s Civil Rights Division. It was in that latter role that Acosta intervened in a pair of lawsuits brought by Ohio civil-rights activists who objected that the Ohio law that permitted the challenging of the right of voters to cast their ballots was unconstitutional. The issues raised by “challenge statutes” and “voter caging” remain a profound concern, and the subject of legal debates, as does Acosta’s tenure with the Department of Justice’s Civil Rights Division.